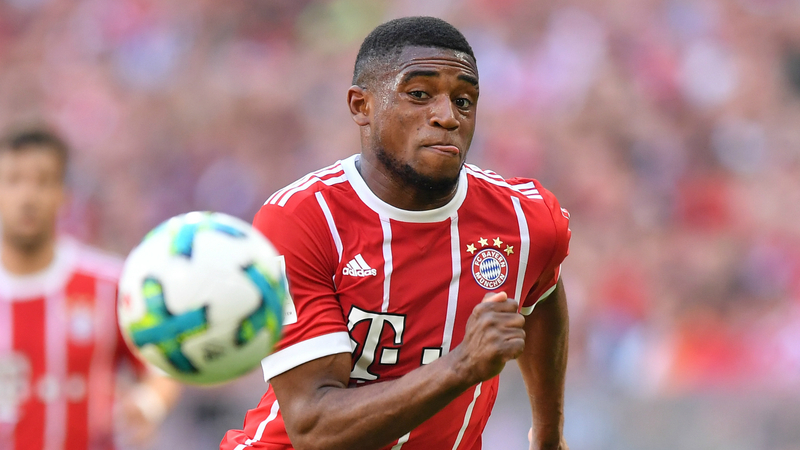 Bayern Munich have agreed to send promising striker Franck Evina to second-tier Holstein Kiel on an 18-month loan deal. The highly rated teenager made two Bundesliga appearances towards the end of last season and signed his first professional contract in May. He will stay at promotion-chasing Kiel until June 2020, under the guidance of former Bayern reserves boss Tim Walter. Evina, 18, has represented Germany at youth level but last year switched his international allegiance to Cameroon, the country of his birth. "After careful consideration of all sporting aspects, we have agreed to this loan," Bayern sporting director Hasan Salihamidzic said. "We will follow Franck's development very closely and wish him every success." The move ended any chance of Evina featuring in the 29-man squad Niko Kovac has named for a training camp in Qatar. New signing Alphonso Davies and injured pair Corentin Tolisso and James Rodriguez are among the travelling party. "We want to fine-tune a lot of things in Doha, including fitness and technical [and] tactical elements," Kovac said. "And we have to begin preparing for our first opponent [after the mid-season break] so we can get off to a good start at Hoffenheim [on January 18]." Bayern trail Bundesliga leaders Borussia Dortmund by six points.